SATURDAY THE 27TH OF APRIL AT PARADISO AMSTERDAM. 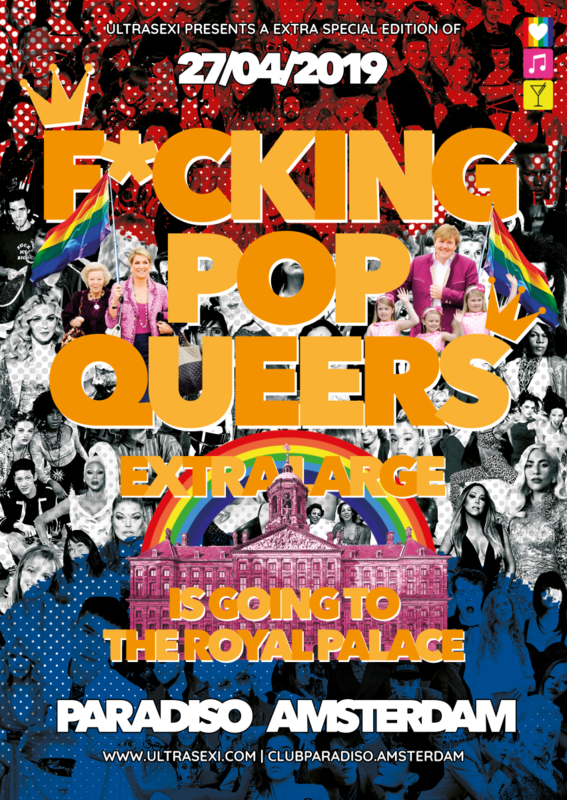 All hail the pop-music Queens & Kings! Let’s celebrate King’s day at our very own royal palace in the heart of Amsterdam! Your musical guide of the night are (DJs) Glen Coco, Valentijn de Hingh, Prof. GuccyGallore aka The Stress, Connie Komen(b2b set with Babyblue), DJ Darkness & Sant Jordi!